The future of work will be increasingly collaborative and global, so it is more important than ever for students to be able to interact and plan collaboratively. Our learning spaces reflect this environment and invite students to share their thinking with their peers and teachers. Learn how to learn: so that they are equipped to assume responsibility for their own learning, encouraging each individual to know how they learn best. Learn for transfer: so that students can take concepts, knowledge and skills from one field and apply it to new settings, contexts or problem-solving scenarios. A range of interventions support student needs and are regularly reviewed through ongoing feedback to ensure they effectively target individual and group needs. Through the junior and middle years programs, students are immersed in education that is inspiring, meaningful and connected. Foundation Learning: Students focus on the concepts, knowledge and skills of English and Mathematics to continually develop the essentials of literacy and numeracy that underpin all other learning areas. Hands-On Learning: Students undertake practical and applied learning opportunities through specialist subject areas such as Physical Education, Languages, Science, Technology and The Arts. 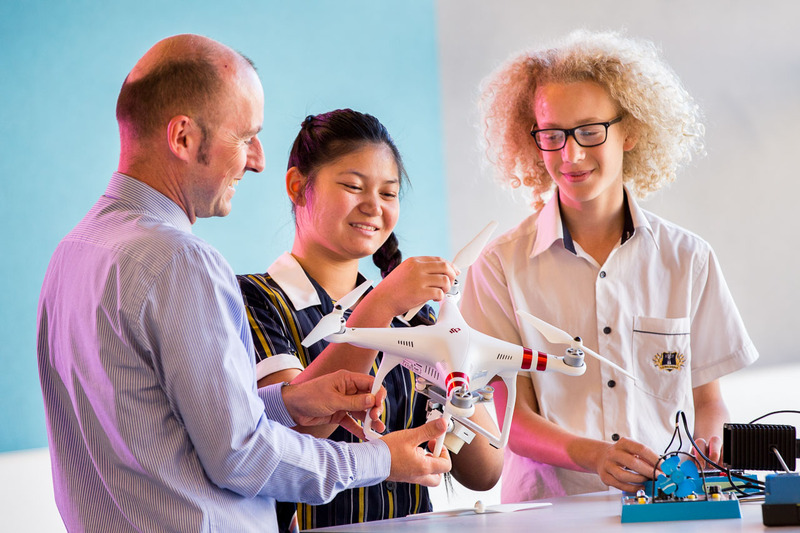 Integrated Learning: Our Veritas program explores ‘truth-seeking’ through thought-provoking themes and connections between Religious Education, Humanities, Health, Digital Technologies and the STEAM disciplines. Debating, sports competitions, arts performances, academic competitions, justice camps, Tournament of Minds and the Frayne Speech Festival are just some of the co-curricular opportunities on offer to appeal to the wide range of student interests. We encourage students to have fun, extend their knowledge and skills and discover something new. STEAM is an educational approach to learning that uses Science, Technology, Engineering, the Arts and Mathematics to guide student enquiry, dialogue and critical thinking. Students are encouraged to take thoughtful risks, engage in experiential learning, persist in problem-solving, embrace collaboration and work through the Design Thinking process to become the next generation of innovators, educators, leaders and learners.